Developing children's physical and social skills, and positive personality traits within a loving and caring environment. 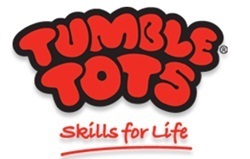 Tumble Tots is a structured, active physical play programme for children from 6 months to 7 years. Using gymnastics with children aged 4 months to 12 years to have fun, take on new challenges, increase self-confidence and self-esteem. The programmes are designed to introduce a child to physical activity in a fun and nurturing environment.